Every year, more than 300 people die in ladder-related accidents and thousands suffer disabling injuries. The American Ladder Institute (ALI) is a not-for-profit association dedicated to promoting safe ladder use. National Ladder Safety Month is the only movement dedicated exclusively to the promotion of ladder safety. During March 2019, National Ladder Safety Month will bring increased awareness to the importance of using ladders safely through resources and training. To get involved, visit www.laddersafetymonth.com. During Ladder Safety Month, the ALI and its members will promote ladder safety with the following goals in mind, and you can join them, too. Increase the number of completed safety trainings on www.laddersafetytraining.org. Increase the frequency that ladder safety training modules are viewed on www.laddersafetytraining.org. Lower the rankings of ladder-related safety citations on OSHA’s yearly Top 10 Citations list. Decrease incidence of OSHA-reported ladder-related fatalities. Increase the number of on-site ladder trainings. Increase the number of companies that inspect and properly dispose of old, damaged, or obsolete ladders. 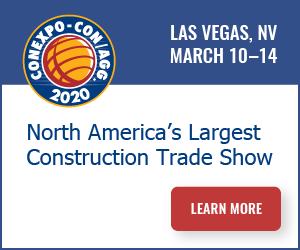 The ALI will also provide weekly email blasts covering topics likeLadder Inspections, Prevention through Design, and the Leading Causes of Ladder Accidents and How to Avoid Them. They will also provide contact information to Ladder Safety professionals who can provide free on-site ladder safety training for your company or association. Providing better ladder safety training is only part of the solution to reducing the number of ladder-related accidents and deaths. The other is encouraging innovation in an industry and product that hasn’t changed much in hundreds of years. By designing safer products, we can prevent accidents from happening and get everyone home at the end of the day. Having safer products doesn’t do you any good if nobody knows they exist. Part of ladder safety training is choosing the right ladder for the job and being informed of new equipment. Promote National Ladder Safety Month with weekly ladder safety-centered blog posts to bring awareness. Send weekly internal company memo and eblasts on ladder safety to employees. Include National Ladder Safety Month in employee and customer newsletters. Invite a ladder safety expert to conduct a “live” ladder safety training for your entire company. Hold a contest within your company for the best ideas to promote ladder safety across the entire organization. Issue a press release on how your company is promoting Ladder Safety Month and what changes you will make to keep your people safe while using ladders. Hold your own ladder safety “stand-down” during Ladder Safety Month. With your employees or members, attend a live Ladder Safety Webinar during the month of March. Several highly respected publications will be holding at least one Ladder Safety webinar during Ladder Safety Month. 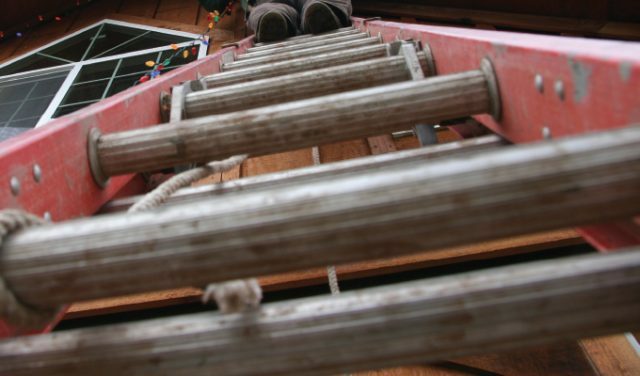 Conduct ladder safety inspections on all your ladders during National Ladder Safety Month. You can use the Ladder Inspection Checklist available on the ALI website or use the NIOSH ladder safety app inspection tool. Remove from service and properly destroy any ladders that do not pass inspection. Share ALI and other ladder safety content daily on your social media outlets. Offer incentives to all in your organization who complete online ladder safety training at www.laddersafetytraining.org during the month of March. The ALI believes every ladder accident is preventable, but without better training and continuous innovation in safety planning and product design, we will continue to see far too many fatalities. For more than three years, David Francis’ career has centered around ladders. He has been with Little Giant Ladder Systems from the start, eventually heading up Research & Development. He holds five U.S. patents for ladder design, and as National Safety Director, spends most of his time traveling throughout the nation training safety officers, construction professionals, and occupational safety and health professionals on how to better prevent injuries.